This article describes what a quality inspection is, and when it typically takes place (before, during, and after production). We will cover the types of inspections most widely used by buyers in international trade. They should be performed by 3rd party QC providers (appointed by the buyer), or by the buyer’s own inspectors, if you buy from China, Vietnam, India, or another low-cost country. 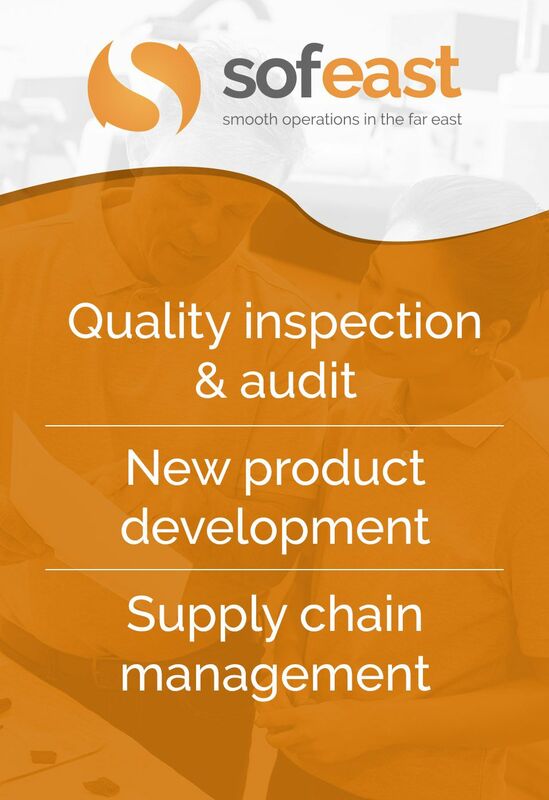 What is a quality inspection? The term inspection refers to the activity of checking products, whereas audit applies to analyzing manufacturing processes and/or systems. The quality inspector usually follows a pre-established checklist that is based on the product specifications. Inspected products can be the components used for production, semi-finished goods, or (most often) finished goods before shipment to a customer. We drew an infographic a few years ago that shows the main steps in a typical quality check based on random sampling. 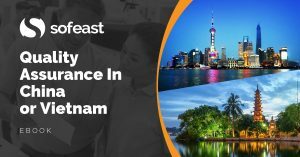 Hundreds of thousands of first-party inspectors travel to factories daily in China, Vietnam, India, and other low-cost Asian countries. This is what we are focusing on in this article. I wrote about the different types of profiles and backgrounds to look for when hiring this type of employee before. How to report on QC findings? The inspector needs to use the product specifications as a checklist — typical points are materials, workmanship, appearance, labeling, inner packing, outer packing. And, of course, special tests (for safety, function, etc…). All along the way, capture photos and/or videos. In Microsoft Word, you can prepare the places for photos easily. Note: If you work with a quality assurance agency, they will have their own template by default. Make sure you see a sample report before working with them. In our 13 years providing this type of service, I can only remember a few large companies pushing us to use their own template — and all SMEs were fine with us using our own template. Do you want to get a simple Word document to use as a template? I offered one in this article on the Global Sources website. In most cases, a visual check will be done. A basic function check too (for example, turning an electrical product on/off). Defective samples need to be categorized (most often there are 3 buckets: critical, major, and minor) for the purpose of making decisions. And then, if you purchase general consumer goods, you can probably accept a certain percentage of defective goods. Part of the job is to pick samples and think “would a consumer/user accept this?” if it is sold to users, or “would this create issues down the road?” if the part is to be further processed or assembled. However, there needs to be a checklist too. After all, the products were made based on an agreed-on specification, right? Does production conform to these specs? The typical approach is to use these specs as a checklist, to guide the control process. Let’s take a product everyone is familiar with: a wristwatch. You can see a short video about a full inspection checklist of watches here. I want to emphasize an essential principle of quality management: “the sooner we eliminate errors, the better”. Many studies across all industries have demonstrated that there are a cost and time ratio for development:production:delivery of 1:10:100. It means each error will cost 10 times more (in dollars and in time) to fix in production than it would to fix in development, and 100 times more if the error actually reaches the customer. That’s why checking quality only at the end of production is very risky. But you don’t have to wait until everything is done… As you can see below. “Garbage in, garbage out”: a factory usually cannot turn defective inputs (components, or raw materials) into good products. And the problems are much harder to detect once the materials are embedded in the final product. Thus, to decrease quality risks, the inputs can be inspected prior to production. Some samples can be taken randomly and checked visually (or sent to a laboratory for tests). Also, the buyer should clearly define what inputs are acceptable before he gives any order. Has the factory understood the technical files? Do they know what product the client wants? Has the development team clearly communicated the requirements to the manufacturing team? Is the equipment for mass production similar to that used for making prototypes? Sometimes, production has already started when a pre-production inspection takes place. It allows the inspector to examine the process, and sometimes to check a few finished products. However, in this case, the factory might refuse to stop production (to avoid disruption of the lines), even though the inputs are not conforming or the process is not satisfactory. Generally speaking, pre-production inspections are adapted to customized and complex products. More standard items should be inspected during production (see below). The factory has to rework (loss of time). If the products cannot be repaired, the factory should re-order components, and re-produce (which means long delays, and a financial loss for the factory). The supplier might refuse to repair or re-produce, particularly if the previously-agreed specifications are ambiguous. Typically, in an in-line inspection, the first products that got out of the line are inspected for conformity. If issues are raised at this stage, the factory can immediately take some corrective actions and avoid delays. Also, based on the production start date and the number of products already finished, the buyer can have a fair idea about the shipment schedule. A third advantage of in-line inspections is that the buyer knows where the goods are produced. Some suppliers show a factory to a buyer, and then sub-contract the production in another workshop (this happens every day in China). What it means is that third-party inspectors can either check the first finished products getting out of the line or come in at a later stage and select samples from a larger pool of finished goods. In any case, in-process products are rarely checked, even though it can be very valuable. It takes a trained technician to reliably detect errors on unfinished products. This is the most popular type of QC inspection for importers. It takes place once all the products are finished and ready for shipment. Note: A “packed product” is ready for shipment (i.e. in a closed export carton with full shipping marks). In many cases, the inspector accepts up to 20% of unpacked products per reference. This way, the inspection can often take place without delaying the shipment. The conformity of the products is checked against a list of criteria defined by the buyer (product quantity, workmanship, function, safety, aspect, size, packing…). Buyers are advised to ask their inspectors to keep track of which cartons were opened. This way, a 2nd “spot” inspection can give an idea of how seriously the control was performed. Of the three inspections presented in this article, this is the only one where the total quantity of products can be counted, and where samples of finished products can be drawn in a truly random manner–and thus be representative of the whole batch. After the inspection is done, and before shipment, many things can happen. 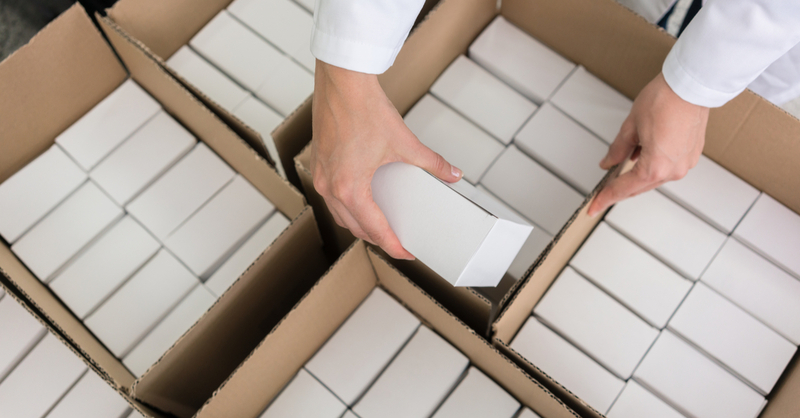 A dishonest factory can ship a smaller quantity, substitute the content of the cartons, etc. There is a solution to avoid this: a container-loading supervision. An inspection result (pass/fail) is not 100% reliable: even a random sample might be better than the average products; the inspector might make a mistake; an inspector might get bribed by the supplier, etc. An inspection fee (around USD300 for one day) is totally out of proportion with the total value of the goods at stake (sometimes over USD100,000). For further reading on quality inspections, check out what AQL means in simple terms. Editor’s note: This post was originally published in December 2011, and has been updated with additional content in March 2019.